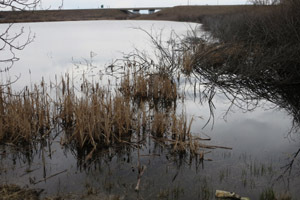 This was from the same marsh visited before and again taken between the slope of dry grass and dead cattail stands. 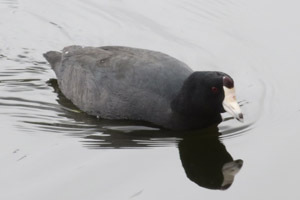 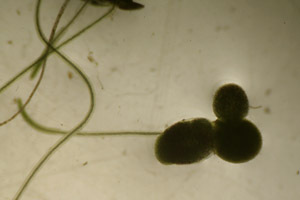 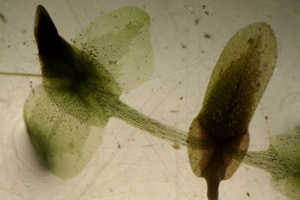 But some new shoots were emerging, and among the many water striders and beetles there were a few floating plants, namely some wrinkled strings of Ulva and smaller duckweed. 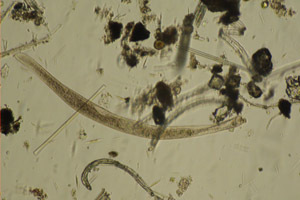 These were included in the sample along with grass and debris from below. 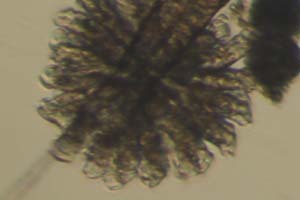 Besides the larger strings there were also filamentous clumps, mostly pale and fine, but also some that were coarse and multiseriate. 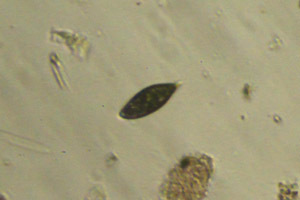 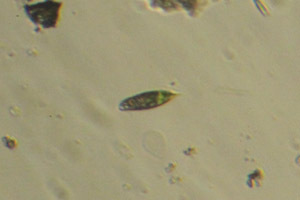 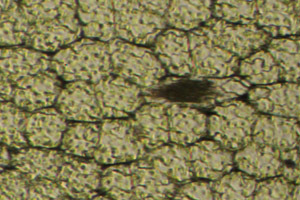 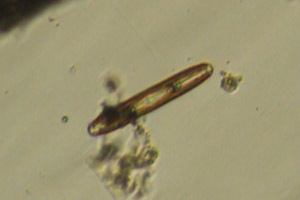 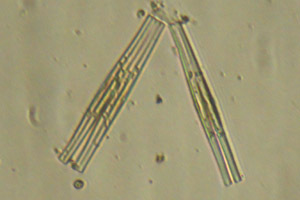 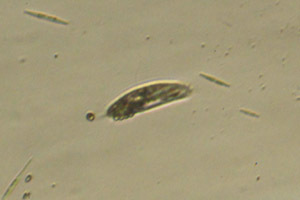 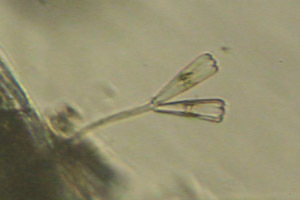 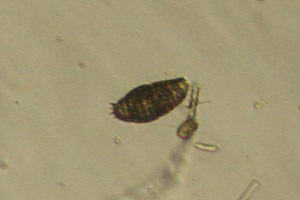 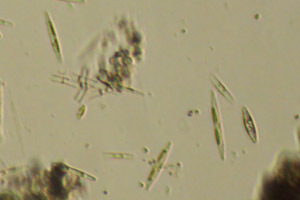 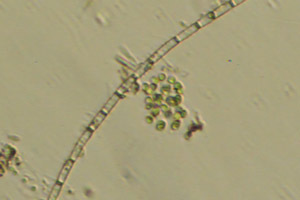 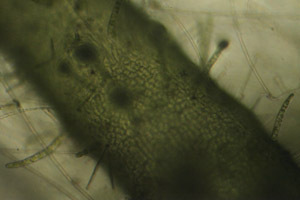 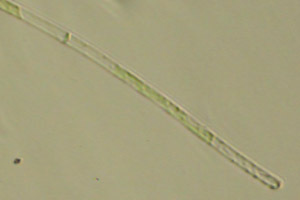 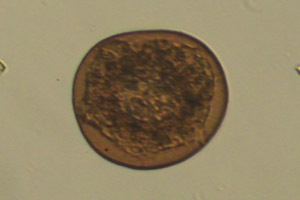 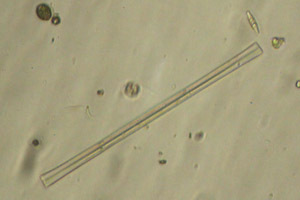 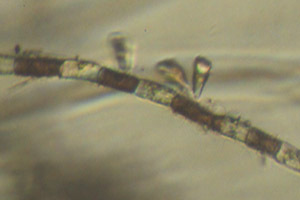 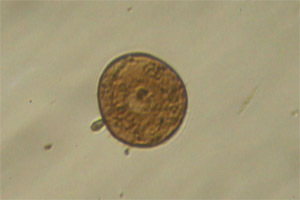 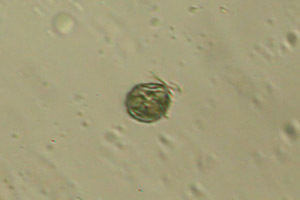 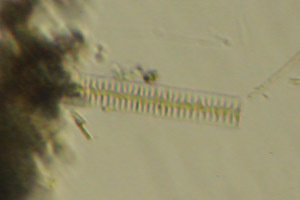 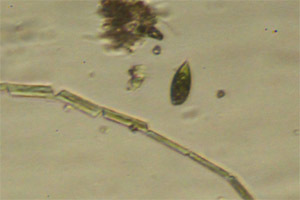 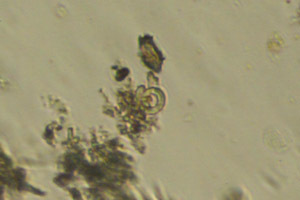 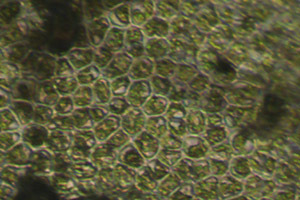 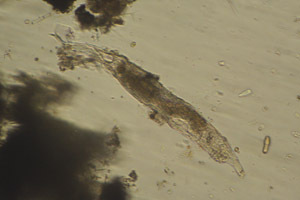 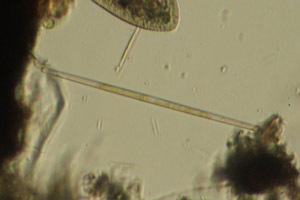 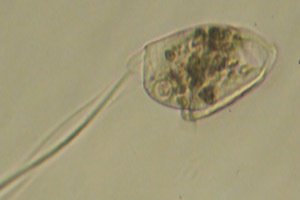 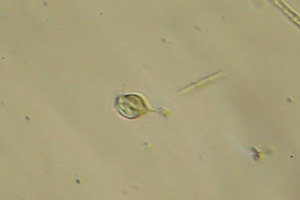 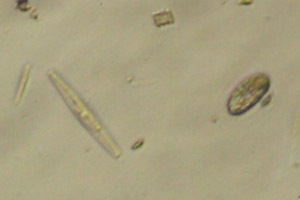 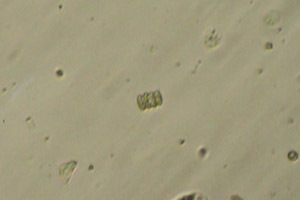 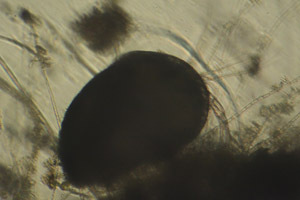 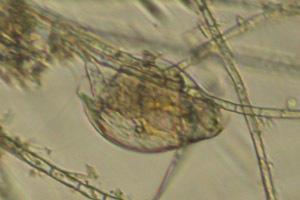 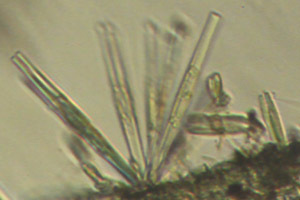 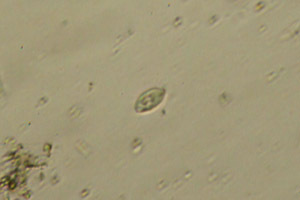 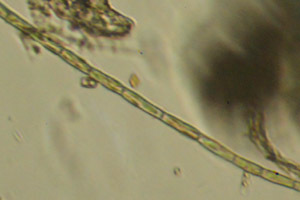 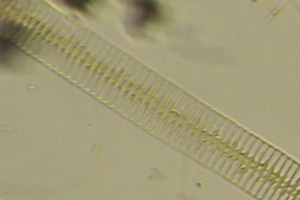 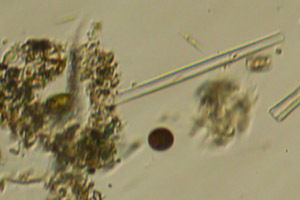 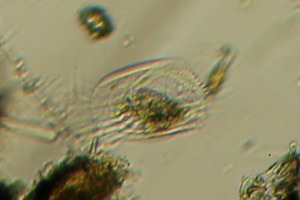 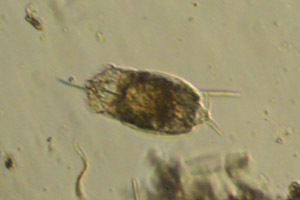 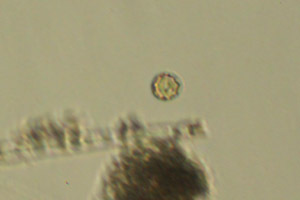 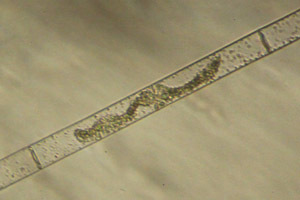 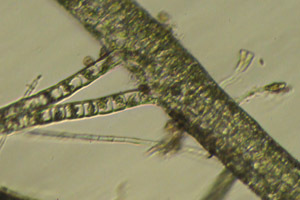 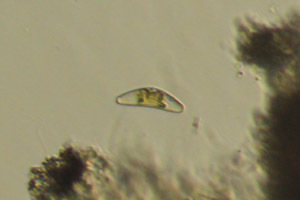 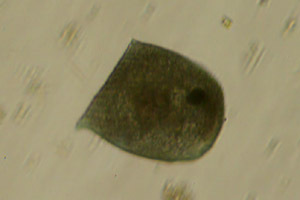 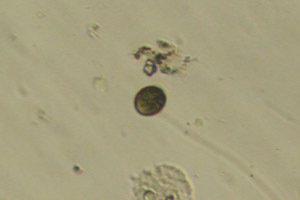 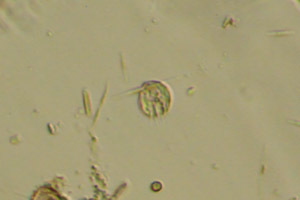 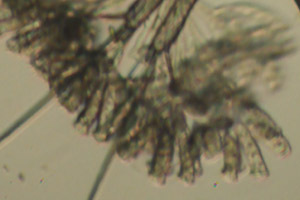 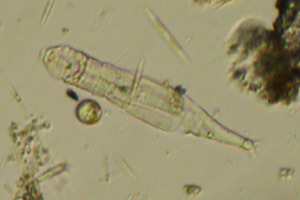 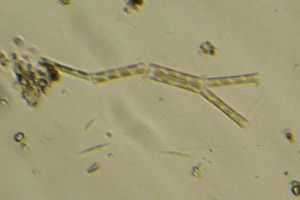 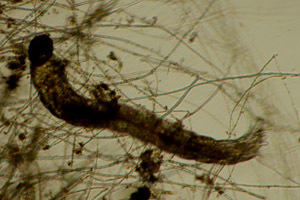 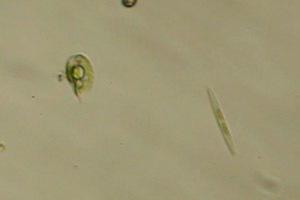 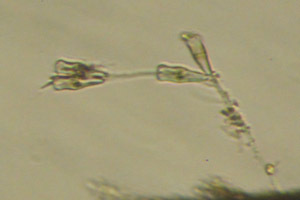 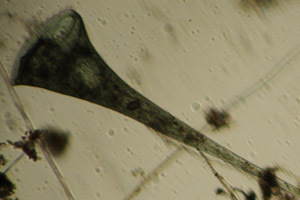 The latter were presumably smaller Ulva since they had similar side branches, and diatoms were particularly common on them, though many also occurred throughout the sample. 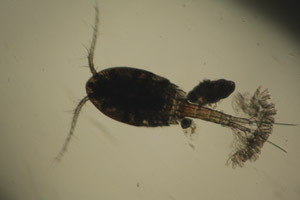 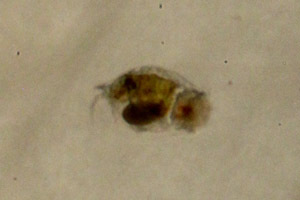 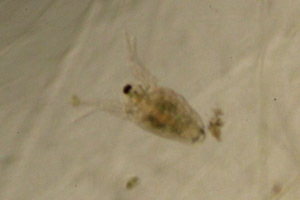 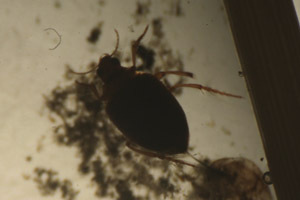 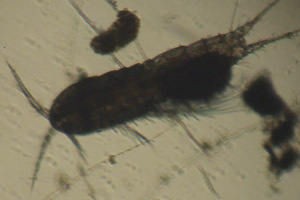 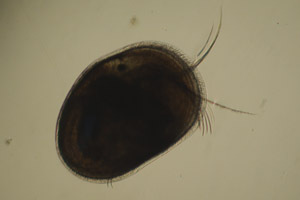 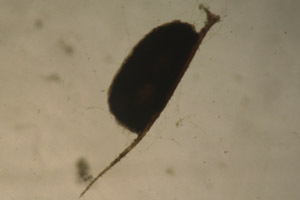 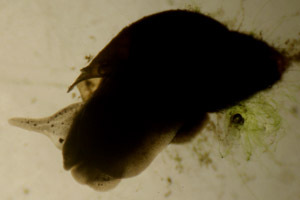 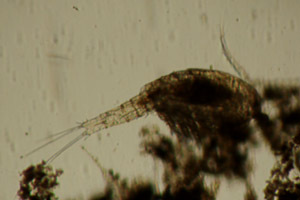 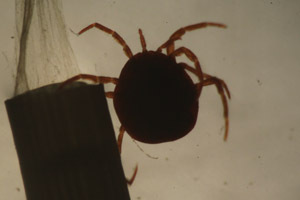 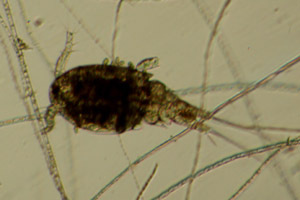 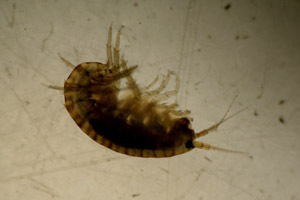 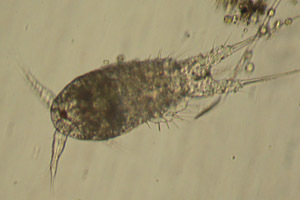 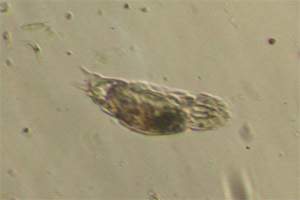 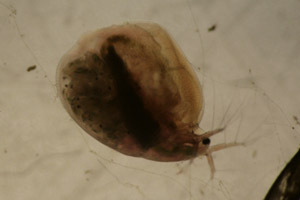 Small crustaceans were also very common throughout, including cyclopoids, ostracods, and some Simocephalus. 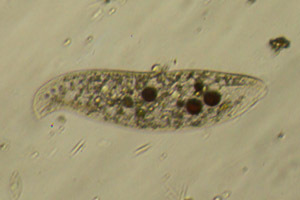 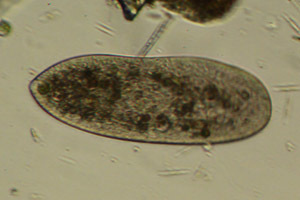 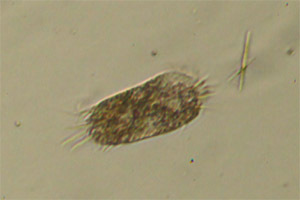 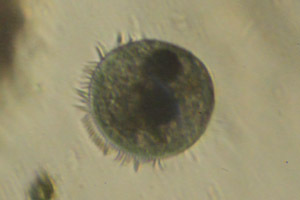 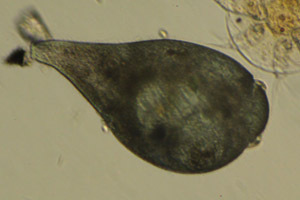 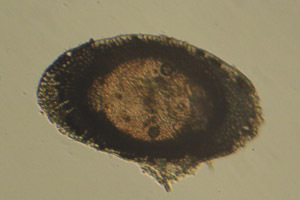 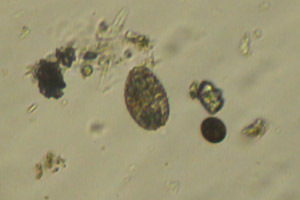 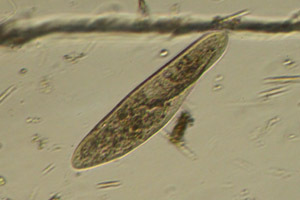 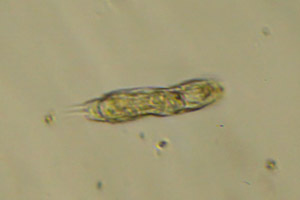 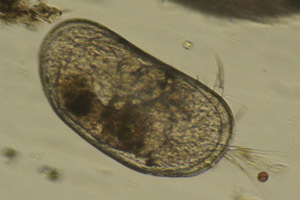 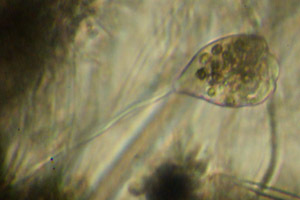 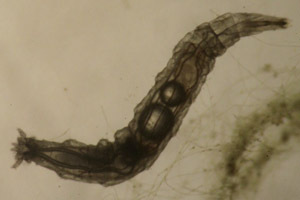 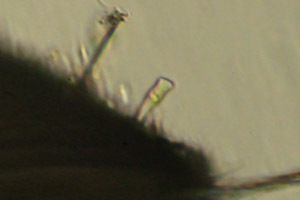 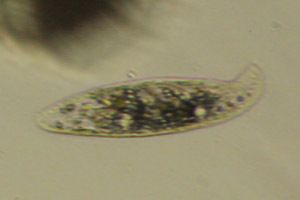 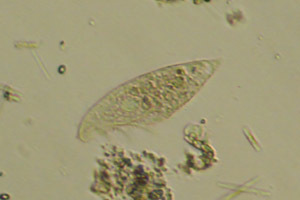 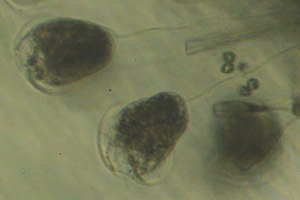 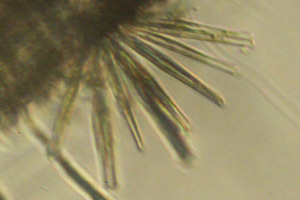 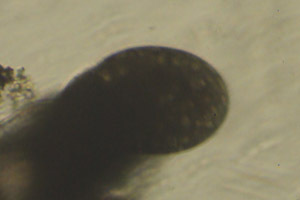 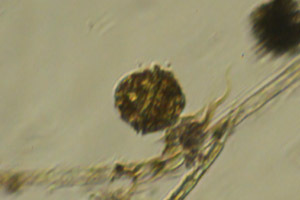 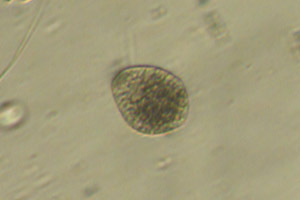 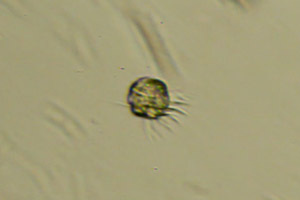 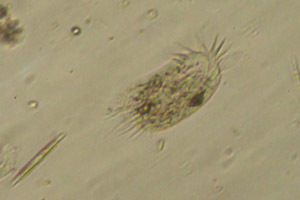 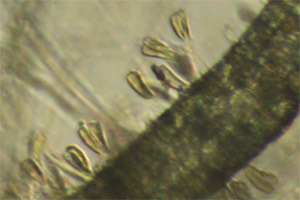 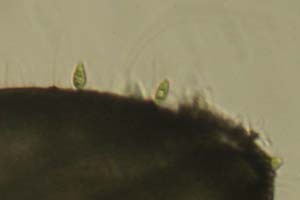 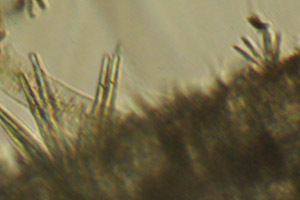 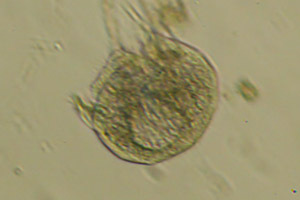 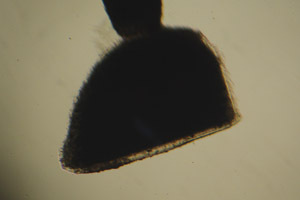 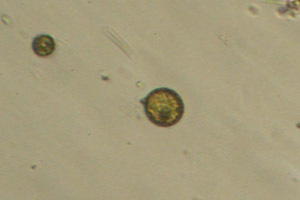 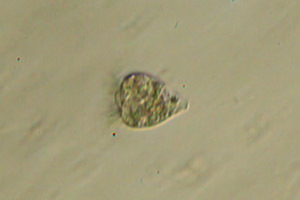 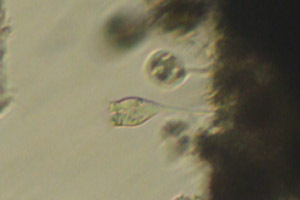 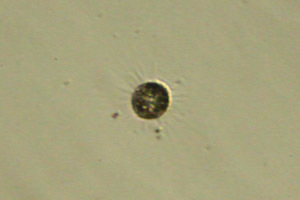 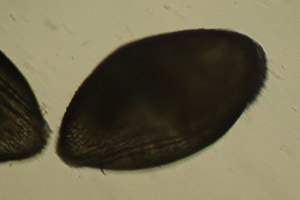 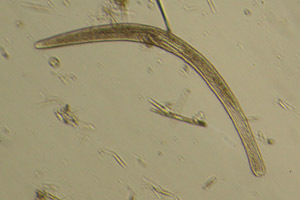 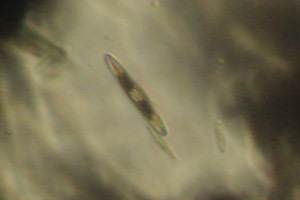 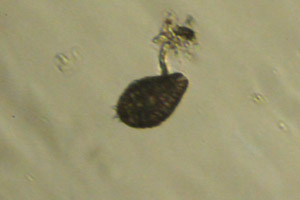 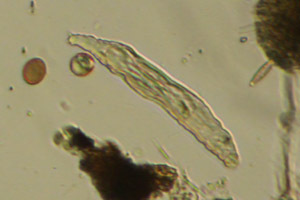 There were also abundances of blue Stentor, colepids, and Trachelomonas, along with other ciliates and euglenids. 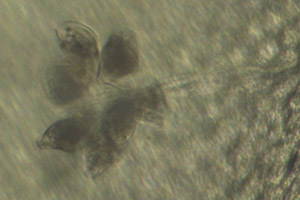 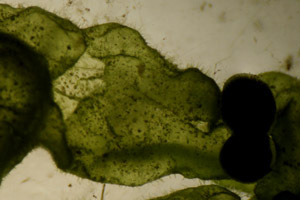 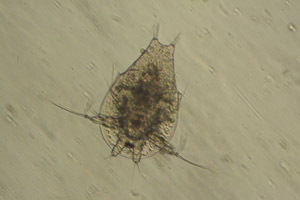 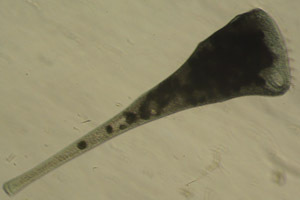 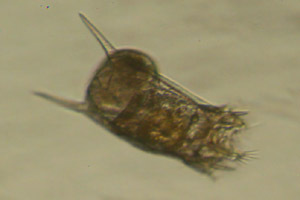 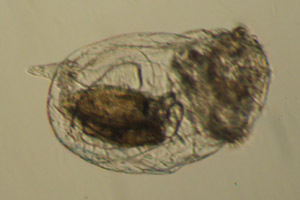 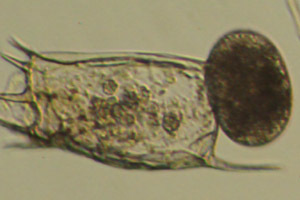 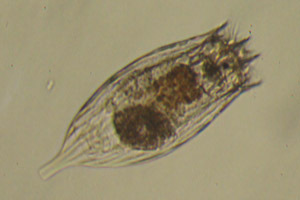 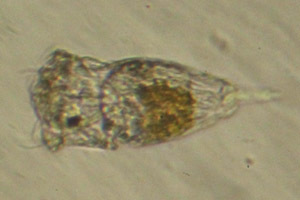 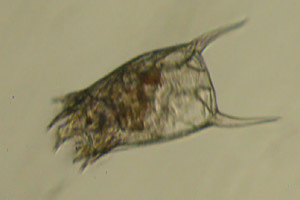 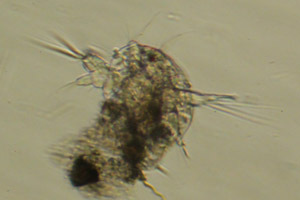 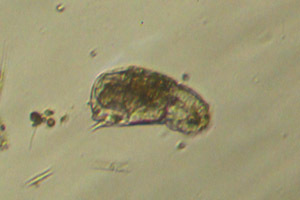 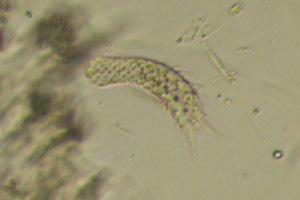 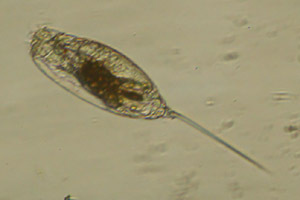 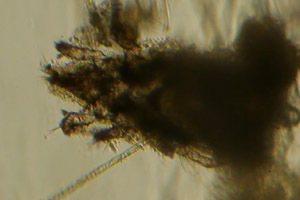 Rotifers too were well-represented, particularly by Notholca and soft-bodied types.